Ambiente has always been on my goal sheet. It is one of the biggest consumer trade shows in the world with 136000 visitors from 143 countries! Last year Wren was represented by Jeremy (see blog post) and this year I went with to experience it first hand. 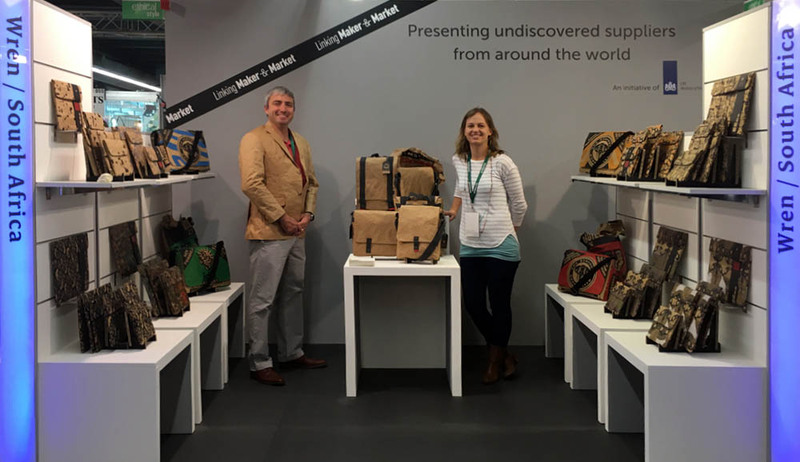 On the CBI pavilion in Hall 10.1 we showed our first collated collection of designs that form a new range we are offering called Optical Africa and a new range of Vegan friendly Natural Paper & Cotton Bags with the spotlight put on our Natural Paper & Cotton Backpack! 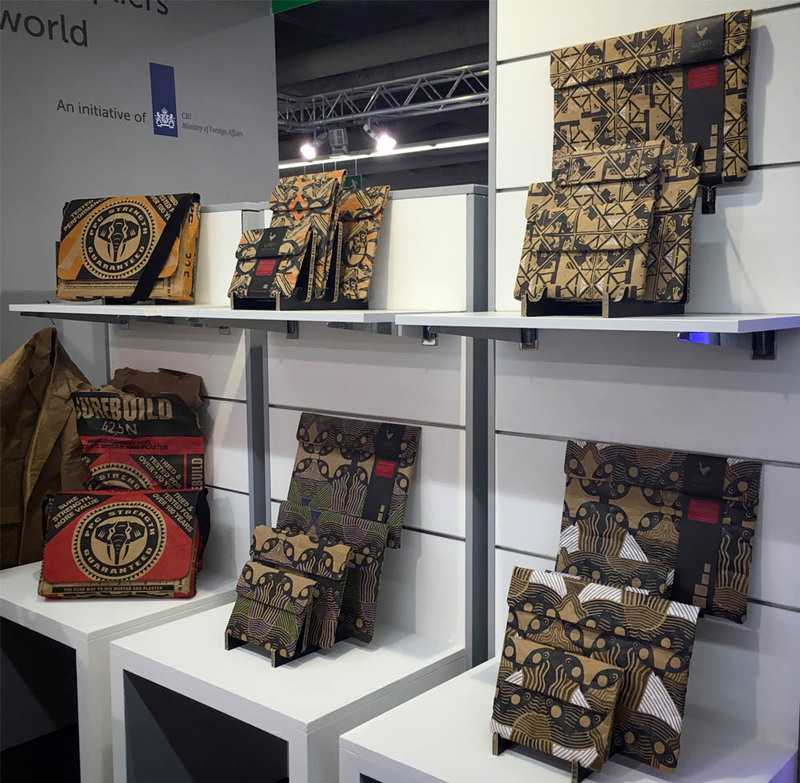 This year we were also included in the new collection put together by Ambiente called Ethical Style. To read more about it click here. We had a very good response to our new prints and bags and made A LOT of contacts. This pile is very exciting becuase it is a very different profile of customer to last year: we have a lot more interest from South-East Asia (Korea, Japan and China) and some possible leads into the USA market which is one that we have very little footprint other than etsy. The next few months are going to be exciting times as we see how we can grow! Thank you to the CBI for selecting us for Ambiente and thank you to to Phaff for the logistical support provided before and during the exhibition. 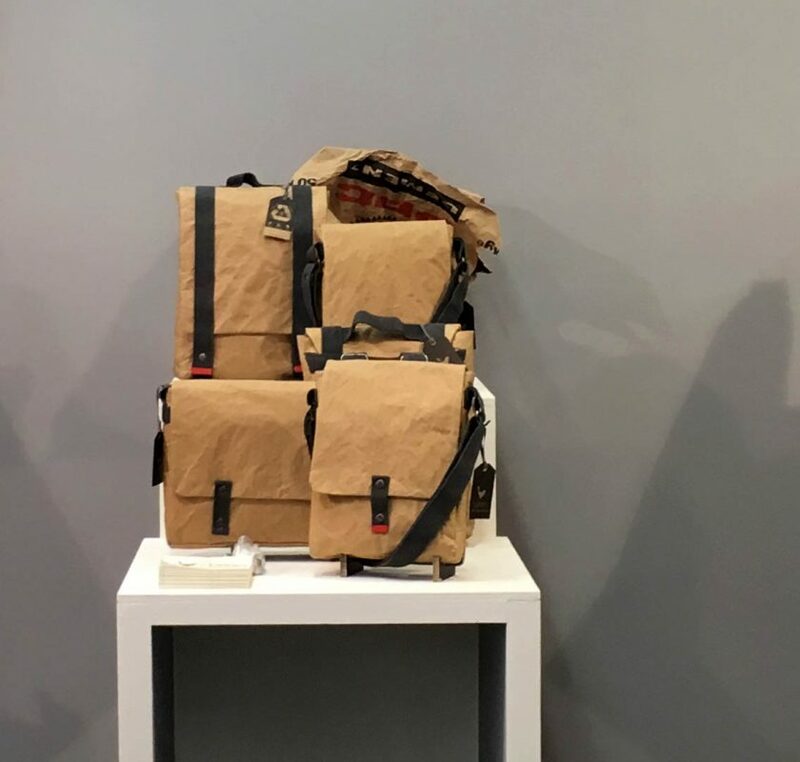 This entry was posted in Blog and tagged 2017, Ambiente, CBI, cement laptop bag, cement paper, creative packaging, ethical guide, hall 10.1, laptop sleeves, paper bag, paper bags, PPC, South Africa, south african, stand, stand c51.